I guess you could say this is a Two Part Post. So that my sister Xena doesn’t steal the last half, I have given it to her, as she is tugging on my ear with her teeth and telling me that she wants to say something, too. Part One: Hi, this is Lucy, Ace Reporter, with a clear conscience, on the Groom Beat. 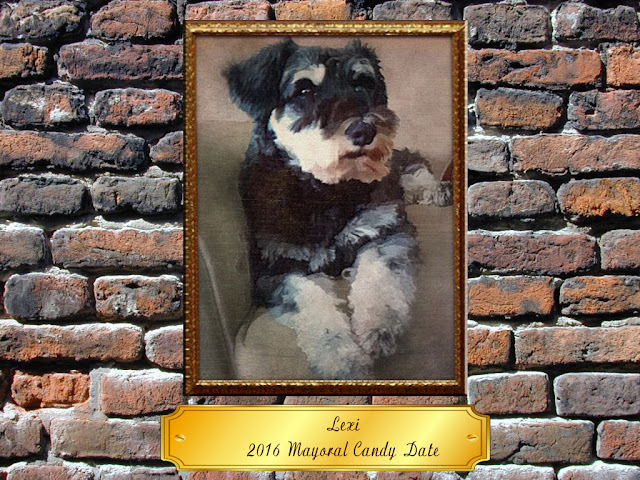 Today’s article features Maddie, a salt and pepper colored Schnauzer. Maddie is the same size as Angel Lexi was and has turned almost silver. Her Mom (Anne) is an expert organ player and knows my Mom from when Mom worked at St. Luke. Anne usually grooms Maddie, but sometimes she needs an expert groomer’s touch. The holidays were so busy that Maddi got pretty madded, or matted, and Mom’s touch was needed. Xena and I got to come in the groom room and be with them, but Xena couldn’t stop her yapper so I took her upstairs. Before long, Mom was done and Maddie had her bath they all came upstairs too. Xena and I sort of played with Maddie while the peeps visited over lunch. On the way back downstairs, Xena was on one side of me and Maddie on the other when they decided to (almost) get in a fight and barked and lunged at each other right underneath my belly! That sure was a moment I don’t want to repeat. Lucy, signing off from the Groom Beat, with my guts still intact. Today, Ace Reporter Lucy on the Groom Beat. First, we have Roxxii. Isn’t she a doll? Mom did what she calls a “Winter Groom,” leaving her body and leg hair long to help her stay warm. Her Mom had to leave her for three hours while she worked, so Roxxii came upstairs to stay with us. Xena: Who are you and why are you here? I play bowed and you didn’t respond. Don’t even think about taking my Mommy or stealing my food or my pressies from under the tree. 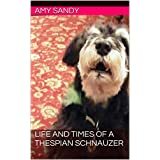 Roxxii: I hadn’t thought about any of those things until you mentioned them, schnauzer dog. Where are the pressies? I don’t see any. Xena: Just never mind. I already hid my reindeer when I saw you coming. 30 minutes later after Roxxii ran all over the house looking for Xena’s reindeer… Roxxii: I want my Mommy. Meanwhile, downstairs in the grooming room… Dora the shih tzu: Maggie, did you see if that other dog ever came back? What happened to her? 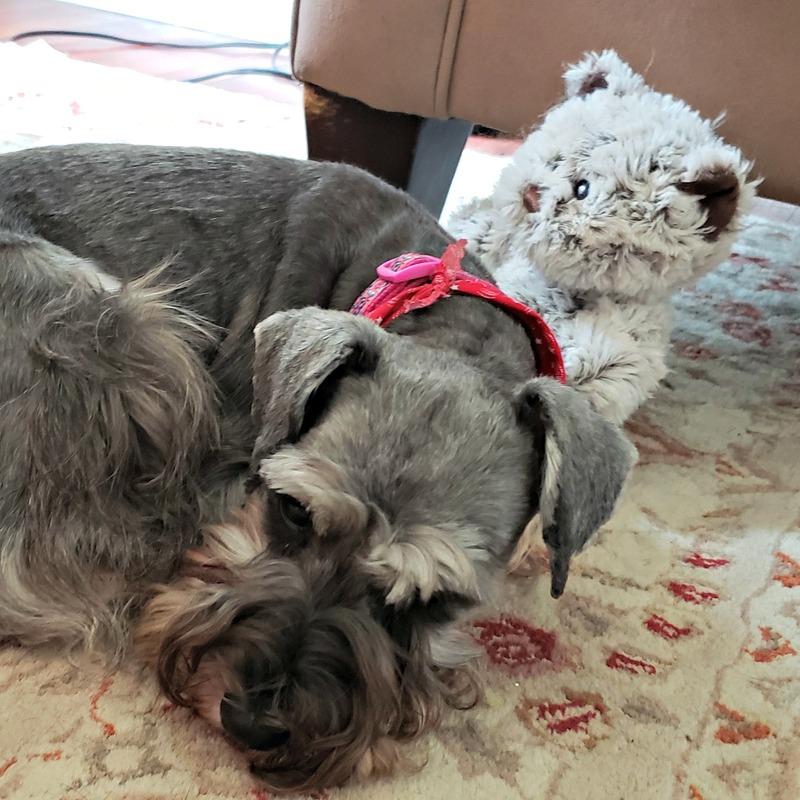 Maggie the schnauzer: I don’t know, Dora, but I’ll protect you. Maggie: Miss Amy, where did that other dog go? Is she staying with you while her Mom and Dad go away like we stayed a few weeks ago? Is she OK? Dora: (As their Mom pulls into the driveway) Can we go home now, Miss Amy? Are we staying with you again, too? I really want to go home. Angel Lexi: There’s no place like home. Well, I seem to have totally lost control of my article, so I guess that’s all for today, folks. Wags and wiggles from Lucy, Ace Reporter who needs a lock on her computer. Tilapia or Bacon: Which is Worse? Hi friends. Lucy here. You might remember I was in a quandary about what my job would be, since church dog and dog groomer didn’t quite work out. In case you haven’t noticed, I have decided to be a reporter, specifically working the groom beat. Now I am adding the Friday Food for Thought beat to my job, giving Mom more time to groom and eat and other stuff. In today’s edition of Friday Food for Thought, we will look at Bad Fish. They might have been very good fish when they were alive, but dead they are ready and waiting to poison you with everything from chicken poop to pesticides and antie bio ticks. I think it’s fun to read stuff with pictures, so take a gander at this! Go here to read the whole article, with info on what fish are safe, why shrimp are the worst possible fish to eat, and how to be smart when ordering or buying fish in stores and restaurants. Love and Wiggles from Ace Reporter Lucy on the Food beat. 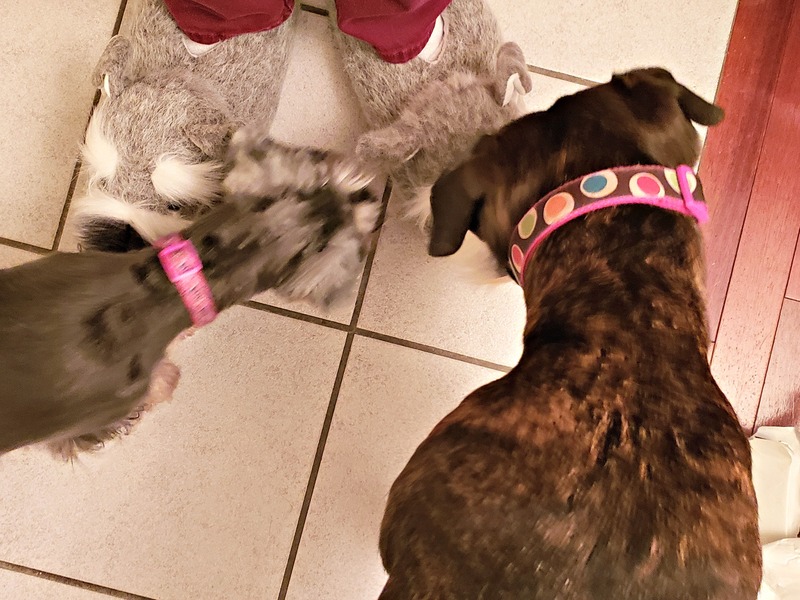 Today I, Lucy Ace Reporter, bring you a fun episode of Grooming with Mommy. You may remember Louis and Laila, proud three time parents. They came to get groomed, like usual. What wasn’t usual was that after they were finished, their Mom brought their last three puppies that hadn’t gone to new homes yet. They are 12 weeks old, and all are little boys. Mom asked me to come downstairs to help her. This little guy was first up, and he was really terrified. I gave him some thoughts of confidence that no one was going to hurt him, and to just relax. He listened to me, and while we passed thoughts back and forth Mom was able to hold him in her lap to finish cutting his nails. He is to be a Christmas present from a fire fighter in Georgia for his little girl. The puppy promised me that he would be a good boy for her. I checked on the other boys in the kennel to be sure they were doing ok. The one with hair like his daddy growled at me. If you look hard, you can see my tail wagging, ’cause this little guy fussing at a big girl like me made me laugh. The other two boys were much easier, and I didn’t really have to do anything else. Even so, I stayed just in case Mom needed me again. Besides, their Mom came back and pet me a lot while she told me how beautiful I am. I think I made her feel good, too! Mom said, “Sit,” and we all sat. The growler (he, he) is up front. He is the only one with a single coat (that means no undercoat), like his Dad. The one that I helped with is in the middle, all groomed and ready to go make a little girl happy. Mom’s favorite is the one in the back. Just looking in his face, we could tell he is smart. He’s really good-natured too, and has a thick coat. He’s in the middle in the next picture. Mom said me and Xena are enough for this home, so I won’t get to raise a baby brother. Xena: Hey Lucy, don’t you wonder what’s in all these bags that Mommy put under the tree? Lucy: Um, now that you mention it, I guess I do. Some of them smell good. Hey Xena, look, Dad left the door to the downstairs open while Mom is gone. Dad: Lucy, Lucy, Lucy, what are you doing? Lucy: Amph, s mn, ood. Dad: Spit it all out, girl. That’s not whatever you think it is. No, no, don’t chew faster, spit it out! Lucy: (with a foaming mouth) I on’t know. Another short while later Mom arrives home. Mom: Xena, what did you do! Xena: Uh, I came down looking for you, Mommy, and, umm, a little piece of something was sticking up, and, and, I thought maybe it was food, er, I mean, I wanted to clean the carpet for you Mommy, and..
back upstairs… What happened to all the pressies? This is Lucy and Xena Schnauzer Warrior Princess with only Grodd under the tree. Today is Thanksgiving Day in the U.S. Xena and I have been thinking about what we are thankful for, so here goes. First we want to say how thankful we are for Blogville and all the friends and support we have gotten. You are happy when we are and sad when we are. When Angel Lexi went over the bridge, Mom could not have made it without all of you. And oh, yes, although it is a very fun virtual reality to live in, we know the peeps and pups who make it up are real. We love you! In our little corner of Blogville and the world, we are thankful for the family dogs who came before us and had the hard job of training Mom. On birthdays, they taught her to say, “Let them eat cake.” This is from Sammy’s birthday on the fourth of July. 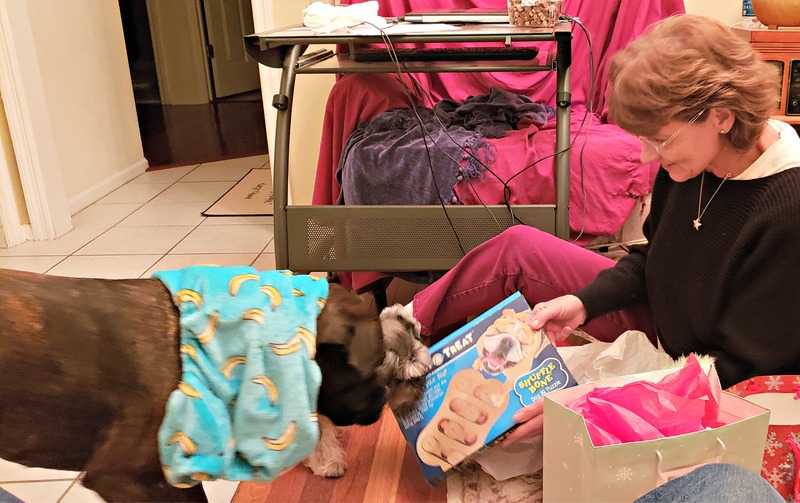 Every year, Mom used to keep 10 dogs for that whole week, so they all helped Sammy celebrate his birthday. Freda was Mom’s first schnauzer. Lexi: This picture is from my 10-year-old birthday party. I had a Healthy Choice meal with my Mom and Dad and then my very own cake shaped like a dog. I know, kinda’ weird, but Mom meant well. Can you see the happy all over my face? I love birthdays and I love Micky D’s!! This is all for me! We are thankful for our friends who we know in the furs. Gracie, who never comes to see us anymore. And our newest buddy, Chaz. 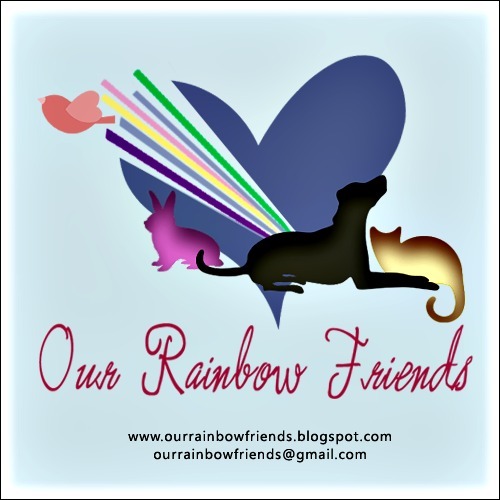 And we are thankful for the memories of our friends who are now waiting at the Rainbow Bridge. And our blogger buddies who have gone on, too. We are so very thankful for all of our blog buddies still with us, too. We would love to meet you all in the furs, like Mommy did with Angel Lexi’s boyfriend, Noodle. We are both especially thankful for really yummy food. We are thankful for our Mom and Dad, who love us and give us a good home. And, in the spirit of this holiday, we are both thankful to be red-blooded American dogs, born in the U.S.A. What was it I heard the other day? Oh yes, American by birth, Southern by grace, BOL! We hope everyone has as much to be thankful for as we do! Happy Thanksgiving to all our furiends. Be sure to go to the the blog hop today by clicking on the picture. Xena: Hey Lucy Deucy, do you think that’s true, that words really matter? Lucy: Well, how does it make you feel when I call you Xena Weena? Xena: Grrr. It hurts my feelings. Sometimes it makes me feel sad, and sometimes I just want to bite you. Lucy: And what about when Mom tells you that you are a good girl and she loves you? Xena: I feel happy and all warm and cuddly inside. Lucy: So, little sister, do you think words matter? Mom: Years ago I was given some wise advise. When you see someone who looks sad, or bored or uninterested, find something to compliment them about. And mean it. You can change the direction of their whole day. Xena: Like what, Mommy? Like tell them they’re the smartest person you ever met or that they have the most gorgeous furs ever? Mom: No, no, little one. Something simple, such as, “I just love your earrings,” or “You have such pretty hair,” or even, “Great shoes! Where did you get them?” I remember the time I did that with a totally disconnected convenience store clerk and she looked up and smiled, her whole face lighting up. Xena: Huh. *thinking* Hey Lucy Deu…I mean Lucy! Your furs are very shiny today. Lucy: Aw, Xena, thanks. That made me feel really good. *grin* Xena: I’m glad, ’cause I love you. and your furs are so shiny I’m going to need sunglasses. Now, can I have your supper? This is Lucy with the Shiny Furs and Xena Schnauzer Warrior Princess thanking you for being our friends and wishing you only kind words today. Lucy: Remember when I said we had better get pictures of these flowers that Mom planted before they died? This is the azalea bush. Or what’s left of it. Xena: Let me take a look, too, Lucy. Oh yeah, remember when it was first planted, and the blooms looked like this? When we passed the dying plant on our way to take our walk last night, I heard Mommy say that she hopes it will come back nice in the spring. Lucy: Then I heard Dad sort of snort-laugh, real quiet-like so she didn’t know he was laughing at her. Xena: Hmm, I better check out Mommy’s Mum *chuckle*. Uh, oh, it’s as wilted as my leg hairs after playing in the wet grass. I think she’s going to plant it in the back yard with the cactus that never die and hope that it blooms again next fall. Do you want to go around the side and check out the pansies? Lucy: Nah, I already did, and they’re gonners too. Good thing she’s better with us dogs than she is with the plants. 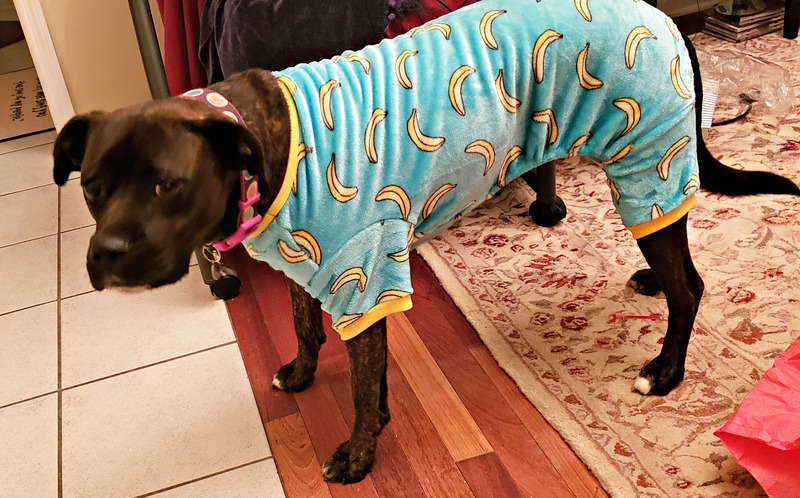 Xena and Lucy: It’s November, and we’re thankful that Mom helps us stay alive and healthy and that we aren’t her plants. Please join Mayor Arty now for The World’s First Blogville’s Nature Friday! Lucy: Chaz is a toy terriorist Yorkie. His sister Chloe is a miniature Yorkie. They have been coming to Mom to be groomed for quite some time now. This, however, was the first time they came to stay overnight. Oh, boy, a slumber party! First, though, there was the grooming. Both me and Xena did a meet and greet with Chaz. He is a nice boy. After I explained to him that even though I am a lot bigger than him, I would never hurt him, he wasn’t afraid of me. I wondered why he was wearing that green thing around his middle, then I saw him lifting his leg to pee on all our furniture and I knew why! Then it was Xena’s turn. Xena: Yep, I ‘splained to him face-to-face, eyeball-to-eyeball that I was bigger, too, and if he wanted to run, I would be glad to chase him. So he ran and I chased and Lucy followed us both all over the house. I don’t know why Mommy kept yelling at me to stop. I was having a ton of fun! Lucy: Then there was Chloe. First she snapped at us, then stayed in her kennel the rest of the time. Mom dragged her out a couple of times to go potty, but she wouldn’t do her bizness. All she wanted was to go back in her kennel. Mom put her food and water in there, too, but she wouldn’t eat, either. Chaz made up pretty quickly with Dad. Look, they both have the same expression on their faces! Dad was a bit skeptical about holding Chaz while playing word games with Mom. But then Chaz helped him win. Mom said, “No fair!” but Chaz and Dad just laughed. They got to be such good friends that at bedtime Chaz slept on Dad’s pillow, right next to his head. Chloe was invited too, but she still wouldn’t come out of her kennel, and growled every time Xena walked past. When their folks came to pick them up, they said that Chloe was always like that when they left her, no matter where she stayed. She wouldn’t even eat treats. Can you imagine!? Xena: I hear they are coming back real soon. Maybe we can play the chase game again, Lucy Ducey. Lucy: *sigh* I’d better watch out the window for them to warn them of your plans, Xena. This is Lucy and Xena Schnauzer Warrior Princess waiting for our Little Visitors to return. Lucy: Mom played supermom and removed old stumps and roots from dead bushes by pushing them out of the ground with her feet. How? Glad you asked. She put her back against the house and pushed with her supermom legs. (When she gets determined, stay out of her way!) She bought bags and bags of new pine mulch and dumped it all over the ground in front of the house. Then, after researching the 3 season azalea bushes on-line, she picked out an Encore Azalea at a plant nursery. She dug and scraped and dug some more and finally got it planted in front of the house, right where she wanted it. I told her to quick, get some pictures, ’cause we all know what happens to most of the stuff she plants, BOL! Don’t you think the color goes pretty with my furs? Xena: Mommy also got a mum. (He, he, I think that is really funny…Mom got a mum.) First, she set it on top of her new mulch, but we live on a hill, so no one could see her pretty flowers from down at the road. So she found an old plastic white table to set them on. She spray-painted a plastic chair Tennessee Vols orange to add even more color to the front of the house and to make the crazy college football people in the neighborhood like her. It was nice to sit in the orange chair and… smell the roses mums. Be sure to drop by LLB in Our Back Yard to join in the blog hop or just look at more pretty flowers! Love and wiggles from Lucy and Xena Warrior Princess. I have been “on guard” all weekend with Achilles around. He has been ignoring me, but I know that could change at any moment. Ella told Lucy that they have something going on, but he might be doing that just to make me jealous. (I’m not.) He found my vibrating dog – the one I hate – and tried to make me jealous (I’m not) by carrying it all over the house, like it was his girlfriend or something. Doesn’t it look just like him? Twinsies! Mommy said he could keep the doggie, ’cause Lucy and I don’t like it anyhow. Once they got home from Octoberfest Saturday afternoon, Achilles totally ignored Lucy. There she is in the chair behind him, mooning over the big lunk. Ella: Achilles, Mom said it is time to go home. I call dibs on the drivers side of the back seat. Achilles: But what about my new friend, Doggie? Can he come, too? I’m not done deading him. Ella: That’s what Aunt Amy just said! Achilles: OK, I’m outa’ here. And so they both left, without even a goodbye or a glance back at me. At least I still had the tin schnauzer my Auntie and Uncle gave us. They said tin is the correct gift for wedding anniversary number ten. (He, he, that’s funny — tin for ten.) Now, if I can just get to the wine bottle inside of it… I know that always makes Mommy feel better. I am Xena Schnauzer Warrior Princess with the Tin Schnauzer Friend. Lucy: After all the fun all day Saturday, my new boyfriend Achilles got put in Xena’s kennel, Xena got put in Lexi’s kennel, and Ella and I got to play in the house while the peeps headed off to the church. Xena: Mom and Dad went to get married, right? Or to get their bowels renewed? I don’t remember which. And Achilles is my boyfriend likes me, not you, Luce the Deuce. Lucy: You are wrong times three, XeePee. It is a Renewal of Vows at St. Alban’s Episcopal Church. And I thought you didn’t like Achilles. All you did was complain about his attention when we were at his house. Oh never mind, that’s not what we’re here to bark about today. Mom told me that Father Robert started out by telling how he met Mom and Dad, and invited their guests to do the same. Maria (L) owned a ballroom dance studio and Dad became her bookie bookkeeper and office and studio manager while taking dance lessons from her. 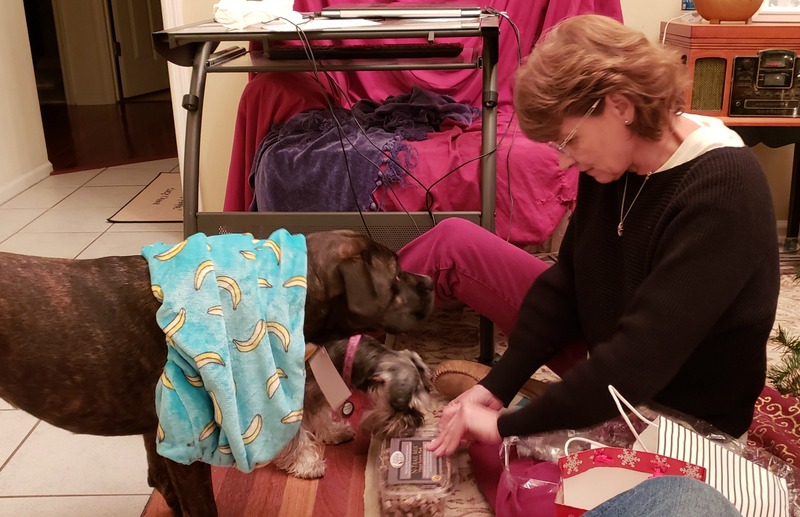 Auntie Jen (R) had Piper the schnauzer, who looked a lot like Lexi. She saw Lexi’s picture on the front page of the newspaper and wondered why Piper’s picture was there. After reading the article about Lexi starring in the Wizard of Oz, and seeing that they came from the same breeder, she contacted the breeder, got Mom’s e-mail address, went to the play, and that was the beginning of a beautiful friendship. *sigh* Here’s Mom and Dad, dressed in the same clothes and jewelry that they wore ten years ago at their wedding, and with the same people (except the priest) as when they got married. Father Robert included some other unexpected touches, such as wrapping their hands with his stole and reading a blessing and having each person serve communion to the person next to them. Mom said it was both solemn and fun all at the same time. Afterwards, Mom and Dad and Auntie Jen and Uncle Bill came back home and drank a bottle of champagne while everyone toasted each other. That means they clinked glasses, not that they put each other in the toaster. They gobbled down ate the supper that I drooled over Mom had prepared on Friday all “home made”: pulled pork and pulled beef, potato salad, cole slaw, sauerkraut, and a gluten-free chocolate chip bundt cake that Dad bought. Xena: Achilles found my tennis ball and played with it by himself all evening. I hid behind Mommy’s chair so I didn’t get squished. But I still saw him making eyes at me. Lucy: Dream on, little girl. Hi friends! My bestie, Ella, met me at Rocktoberfest, and before we could hang out, she had to do a photo op with Rocky the Elf. Then we had a great time together! We watched Mom and Dad polka and we watched Auntie Jen and Dad polka and we watched Mom and Uncle Bill try to polka, BOL! Talk about a total failure! Mom and Dad doing the polka. We hung out like the best buds that we are. Together, we people-watched. We listened to the band and watched peeps learn to do the Chicken Dance. Of course the peeps had to have their fun with us, too. Even Achilles wasn’t exempt from humiliation. I found out that this was his first time to go anywhere away from home (he’s 4, but was recently adopted by my Uncle and Auntie), so he was a bit freaked. I think that’s why he snapped at me every time I sneaked a kiss on his mouth. After we got done laughing at Achilles in his silly hat, Ella told me to cool it with Achilles. She said they have been making out, and he’s a good kisser. She said we could all be BFF’s, though. I said I was good with that(he, he, yeah, sure, right). Achilles was so into me that he laid with his back right up against me until his folks took him to the other end of the pavilion. Ella, stop giving your Dad the stink eye. They’re just getting a funny picture drawn…they’ll be back, and Mom’s here with us. Look, there’s the nice man who was petting us earlier. Doesn’t he look silly doing the Chicken Dance? It was finally time for Ella and Achilles to go home with Mom and Auntie Jen so they could get ready for the Vow Renewal Saturday night. I stayed with Uncle Bill and Dad until Dad got off work. I guess it doesn’t take guys as long to get ready as it does the ladies, BOL! Xena: Oh boy, oh boy, I can’t wait for tomorrow. I’m so excited I don’t think I will even sleep tonight. My Auntie Jen and Uncle Bill are coming to watch Mommy and Daddy get married. Lucy: No, no, no! Tuesday was Mom and Dad’s 10 year wedding anniversary. They are already married, Xena the Weinah. And I’m really excited about Ella and Achilles coming with them to play with me. Xena: Don’t call me names, Lucy Ducey. If they are already married, why are they going to get dressed up and go to the church and have a special ceremony with the priest? Lucy: They’re getting confirmed. No wait. They’re getting, umm, oh, Xee Pee, you have me all confused now. Wait, I’ve got it! They are doing a Renewal of Vows. Xena: But why do their bowels need renewed, Luce the Goose? Can’t they go potty? Lucy: No, Xena! Vows! Vows! Renewal of Wedding Vows! Xena: Stop barking at me! Why are they doing that? Lucy: It was Dad’s idea, and Mom thought it was very romantic, so they are having the same peeps come that were invited when they got married in their back yard 10 years ago. If Mom seems a little sad, too, it’s because Angel Lexi can’t be there this time. Mom gave me this picture to use from 10 years ago. Xena: I see Angel Lexi watching Mommy cut the cake. And that must be Angel Ivy and Angel Lily, too, in the bottom picture. Lucy: Mom’s even going to wear the same dress. We can’t go this time, but I’ll send some of my hair with her. Xena: Well, Mr. I Want To Marry You Achilles had better be singing a different tune this time when I see him. I hear he got his junk removed, so maybe he will leave me alone. Anyhow, I want to do Flower Friday now, like I promised. with some flowers from Rock City’s Rocktoberfest, where I went last Saturday. I don’t know if these ferns count, since they don’t have flowers on them. I wouldn’t sit still here, and a young guy kept laughing at Mommy trying to take a picture before I moved again. So I got stuck up here on a bale of straw next to these mums that aren’t even blooming yet. Tricky Mommy. We want to thank Mayor Artie and the gang at LLB in Our Back Yard for hosting Flower Friday. You can visit their blog to see all the other entries. Then vote for me to win. Lucy: There’s no voting or winning, Xena. It’s a blog hop. Wow, did I ever have an exciting Sunday. Dad drove me and Mom way up to the top of a big mountain, and I was pretty nervous about the whole thing. My ears even popped! Once we got parked and out of the car, I knew it was going to be great. I could hear people, and what’s better than that?! If you remember, Xena got to go last year right after we adopted her, and she got wasted on beer float foam! They didn’t have beer floats this year, so I didn’t get a chance to do that! We walked to a covered place called a pavilion where the Wurstbraut band was waiting to play. It seemed like Mom and Dad know all of the musicians, and a lot of them came over to pet me. One – I think his name is Ray – let me kiss him on the lips and kept coming back to love on me some more. His wife – Carla – sat next to me and Mom, and I think she is the dog whisperer. Every time I got a little nervous, I scooted between her legs and she helped me to calm down. I didn’t even mind sitting with her while Mom and Dad did the polka. At first, the loud band really freaked me out, and Mom had to take me far, far away from all that racket. That was ok, ’cause there were lots of people walking around who wanted to pet me. I would look at everyone with my friendliest expression and wag my tail so hard that my whole body wagged. There were other dogs there, too. Some of them gave me a friend request, and I always answered with a yes! Did you know that my Dad teaches polka? Oh yeah, he’s great at it. Everyone dances and laughs and I can tell they are happy. I wanted to try to help teach like Angel Lexi used to do with the ballroom dancers, but I wasn’t allowed to. I still made friends with one of the students. One lady even came out of the lesson just to meet me! She pet me and we got to be friends. Sunday is sometimes me and Xena’s day to not eat breakfast. Mom calls it fasting, but like Xena is quick to point out, there is nothing fast about those days! So, when Mom bought me my very own basket of Rocktoberfest sauerkraut to eat at lunchtime, she made me promise not to tell my sister. I convinced her to give me some of hers before I promised. But wouldn’t you know, the first thing that little schnauzer did when I got home was smell my breath…and she knew! At least I didn’t break my promise, right? By the end of the day I was so used to the band that I just chilled with the wonderful Carla. Finally, after an exciting day in the sun with tons of people loving me, it was time to go home. I was too exhausted to even get nervous on the ride back down the mountain. In fact, I went to bed right after supper. I hear Rocktoberfest is every weekend in October. I sure hope the folks take me back! Last week Mommy was cleaning out the garage and found a plastic file holder that she had squirreled away. (Squirreled away, he, he.) She couldn’t remember what was in it, so she took it upstairs to go through later. Yesterday was “later,” and she found all kinds of goodies. Before our Grandma went to heaven, she helped Mommy identify and label about 87 thousand ancient pictures. Then Mommy sorted them into deck aids. The first folder was labeled 1910. I thought that’s how many pictures were in there, but no, there was actually a year called that. The picture on the left was taken in 1908 and is Mommy’s aunt (her Mom’s sister). She helped raise Mommy, so they were very close. Mommy called her Nan-Nan and, later, Nan, and other people called her Anna May. The picture on the right is of Mommy’s Mom in 1918. Some people called her “Marion” and she loved Angel Lexi very much. I hope they found each other in heaven. There’s just one thing I don’t understand…how can babies be Mommy’s aunt and mom? Don’t you think those files full of pictures would keep Mommy busy all afternoon, but no, there was a bonus prize. 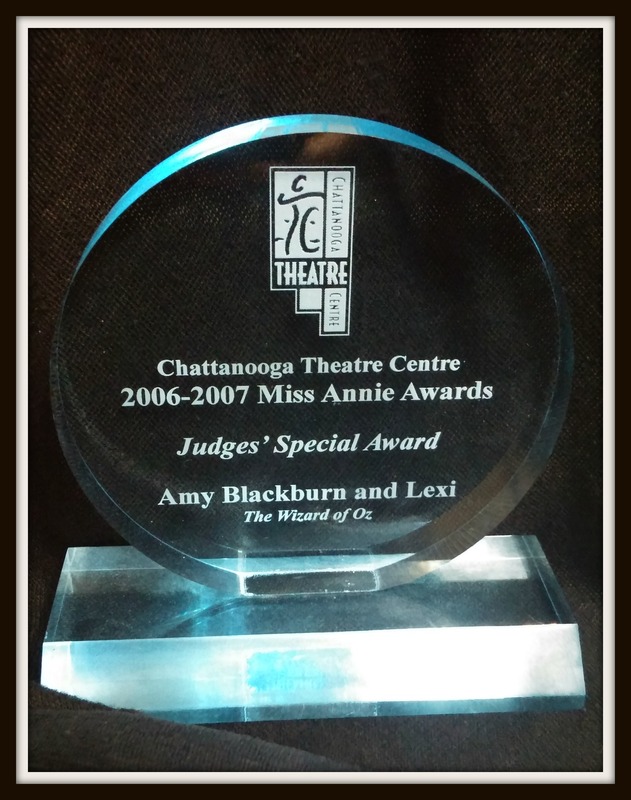 She found a large folder full of info and souvenirs from Angel Lexi’s first time as Toto in 2006. This was the best production, or so I am told, and it brought in 7,000 people over 6 weeks and 26 performances. This is where Angel Lexi won her Oscar Annie Award for Director’s Choice. Mommy also found the prompt sheets she made to use during the play that told her when to be on the right or left side of the of the stage and what to help Angel Lexi do. She found something else in there, too, something I wish she had left there. Really, Mommy? You said it was a gift to Angel Lexi from a cast member, but her head was too big? Did you get your picture? Can I take it off now? I. Don’t. Like. Hats. Hey Xena, whatcha’ got? Cool hat! Oh, Mo-o-ommy, Lucy wants my hat. Tell her it’s mine and she can’t have it. I am Xena Schnauzer Warrior Princess with a Hat for the Star.